So maybe you’ve been on Twitter for a while and you’re wondering how to get retweeted. Retweeting is an excellent way to acknowledge others and share great information that helps your followers. It shows your awareness and knowledge of topics. Have a complete Twitter profile. Include a photo of your smiling self, a link back to your site, and a bio. It’s hard to take you seriously if you’re sporting the default egg avatar on Twitter. So don’t be an egg head. Start networking. Show an interest, make connections and develop those relationships. Dedicated followers will get you more retweets. 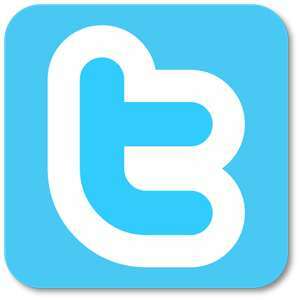 Add a Twitter button to your web site. Keep it short. Leave room for a retweet and allow space for “RT” and the twitter handle plus a few extra spaces for a comment. When you tweet matters and there are lot of free tools available. Tweetstats and Tweriod are a couple of sites that will suggest when you should tweet. Be the first to share breaking news. To get notifications, create a Google alert of newsworthy topics of your industry. Share a quote. Quotes are the most retweeted tweets. Or something entertaining that tickles your funny bone. What’s life without a little humor? Be yourself. Some folks are uncomfortable in social media and put pressure on themselves to be a certain way — more serious or funny, or they try to be like someone else. Nobody can be you so you might as well give it a twirl. So that wraps up a few of the basics. Tweet on tweeps!